Under-the-radar artists who faced a variety of mental health issues and trauma feature in the Sao Paulo biennial which opens this week (7 September-9 December) in a section organised by the Swedish artist Mamma Andersson. She was one of seven individuals invited by the biennial’s chief curator, Gabriel Pérez-Barreiro, to conceive group shows with total freedom in the choice of artists. “The resulting diversity of curating methodologies is entirely intentional,” he says in a statement. Pérez-Barreiro is proposing that the “top-down biennial… can evolve into a more diversified experience in which the hierarchy between art and curatorial practice can be rethought.” The move has sparked debate about the biennial model, and how it should evolve to stay relevant. Andersson says she is “mostly interested in the lonely artists… outsiders from birth, though some become outsiders over time”. These include Carl Fredrik Hill, the little known Swedish painter whose career as a promising landscape painter came to an end after a severe psychotic episode at the age of 28. Andersson is showing darker, more complex works from Hill’s later years such as Screaming Deer (the artist died in 1911). Another turn-of-the-century artist in her section, Lim-Johan, spent eight years in an asylum in Uppsala; his piece, Moose and Elkhound (1899-1901), is included. 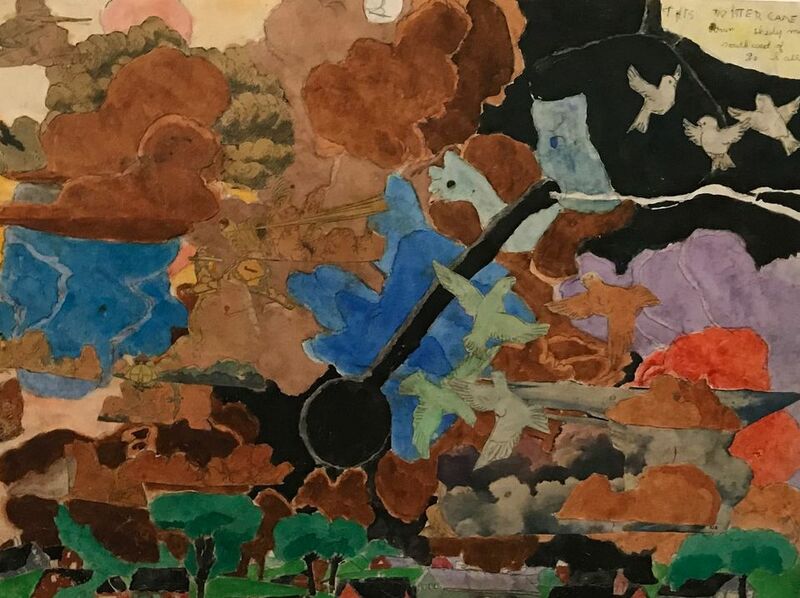 Andersson is also a champion of the late US artist Henry Darger, the reclusive hospital janitor who led a double life as a prolific artist and novelist. Over the course of 43 years living in a single-room apartment in Chicago, he created thousands of distinctive paintings and texts. His 15,145-page novel—entitled The Story of the Vivian Girls, in What Is Known as the Realms of the Unreal, of the Glandeco-Angelinnian War Storm, Caused by the Child Slave Rebellion—tells the fantastical story of seven Catholic girls, all depicted with penises, who are under attack. 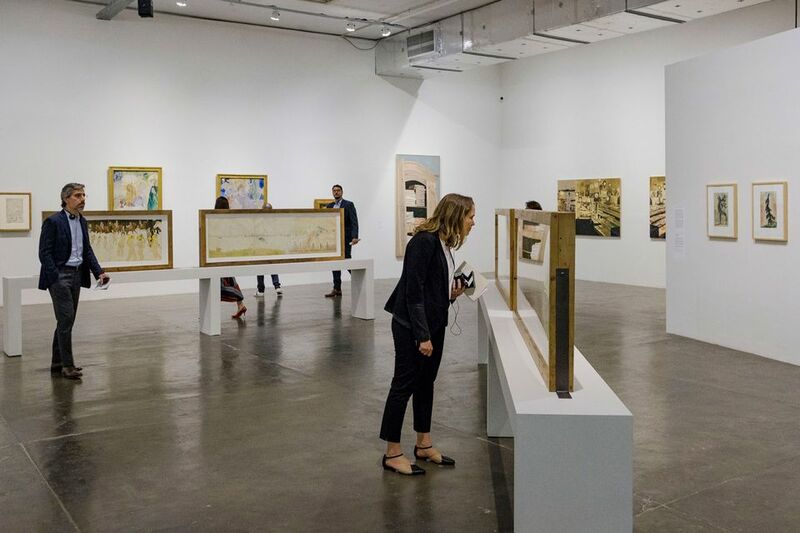 The works by Darger, including a single-panel triptych (The Most Dangerous Turnado in Formation, 1940-60), are all on loan from The Museum of Everything in London. When the museum opened in 2009, its founder, James Brett, showed a series of five double-sided works by Darger, incorporating texts by Paul Chan, David Byrne and Andersson. “These works had taken many years to bring together and the ten images remain the only long sequence in existence, presented in the same order as when they were bound in Darger’s original books. For me they form a missing link which reveals that Darger created a single gesamtkunstwerk [total work of art],” Brett says. Brett’s ongoing research focuses on how the artist’s multiple pieces are connected. “Darger informs Mamma Andersson’s practice very profoundly, so when she and I discussed his inclusion in the Sao Paulo Biennale, we felt it was essential that we didn’t just include individual images, but sequences.” Three longer works (multi-panel triptych) follow a narrative sequence, showing the Vivian Girls befriending a soldier, then getting captured.